We have all heard of causing death by dangerous driving or causing death by careless driving, however the Conservative Government are considering if a charge on the statue books can be brought for causing death by dangerous cycling. Ministers this month are looking into the death of a cyclist where a woman was hit by a bike when she crossed the road. 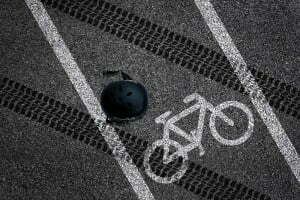 The cyclist was charged and convicted with wanton and furious driving over the death. It was revealed that the bike had no front brake. The cyclists was, however, cleared of manslaughter and convicted of a lesser charge which only carried a maximum sentence of just 2 years. There is no backing with the Government to review the law when someone is killed on the road or pavement by a cyclists to bring it in line with the law relating to motor vehicles. There has been a recent growth in cyclists over the past 10 years and as a result, the probability is that more people could be injured or killed on the roads. Parliament is reviewing the law in this area following the sad loss.